This entry was posted in Personal stories on 2017/10/11 by Susan. Asbestos is toxic but was once prized for its fire-proof properties. People used it to insulate pipes, flooring, drywall, and more. Kids even played in it. 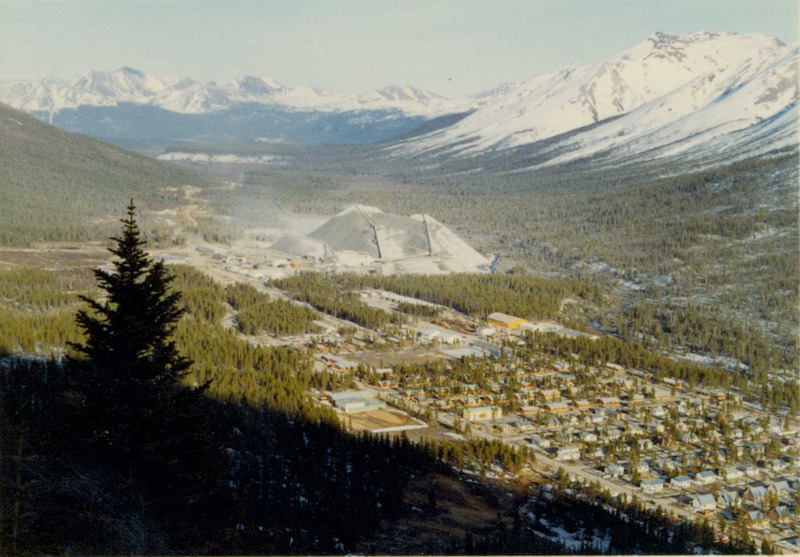 “It had a white dust that drifted down when you ran your toy trucks on it,” says Trevor, who lived in the asbestos mining town of Cassiar, B.C. as a kid in the 1960s. Everyone there, including Trevor’s stepdad Eric, worked at the asbestos mine. “I played with raw asbestos and the school grounds were covered in ‘crush’ – a blue asbestos rock that was tumbled smooth. Run your hands through it and a white powder would drift down – it was raw asbestos dust,” Trevor says. Both Trevor and Eric (now in his 80s) have been tested and show no signs of asbestos-related illness. But many others have serious health problems like mesothelioma, asbestosis, and cancers. Read more on hiddenkiller.ca, a WorkSafeBC website aimed at raising awareness about asbestos exposure. Video: The history of asbestos in B.C. People who mined asbestos aren’t the only ones whose health is affected. It’s also a problem for people in other industries, especially construction. Renovating and demolishing buildings that contain asbestos can put workers at risk if the right precautions are not followed. In my post, My, how things have changed!, I wrote about one worker who shared with me his experience removing ceiling tiles that contained asbestos. Learn more about the history of asbestos in this video from The BC Labour Heritage Centre Society. I have read about the asbestos in British Columbia in one of the course book for my university. I find this topic particularly interesting as there are so many aspects to it.